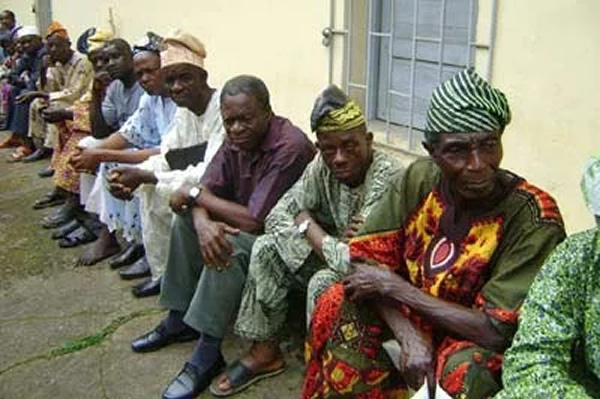 The Chairman, Kwara State Local Government Pensioners Association, Mr. lsiaka Akanbi, on Saturday, said no fewer than 1,005 of its members had died since April 2015, as a result of unpaid pension allowances. Akanbi, in an interview with our correspondent in Ilorin, the state capital, said the victims, who cut across the 16 local government councils of the state, died as a result of their inability to get adequate health care attention. Stakeholders in the state, while decrying the death of the pensioners, described the trend as sad and unacceptable. Among them were the state factional Chairman of the Peoples Democratic Party, Mr. Sunday Fagbemi; a former PDP governorship aspirant in the state, Mr. Sunday Babalola; and the President, Afonja Descendants Union, Mr. Olola Kasum. While urging relevant authorities to urgently effect the payment of the pension arrears to the senior citizens, Akanbi said no fewer than 3,000 of the pensioners were unable to buy drugs for their ailments. He pleaded with the Kwara State Governor, Abdulfatah Ahmed, to come to their aid by ensuring the payment of their pension arrears. Akanbi said, “We have suffered unprecedented discrimination since Ahmed came to power in the state. We are senior citizens and deserve fair treatment. When contacted, Ahmed’s Senior Special Assistant on Media and Communication, Dr. Muyideen Akorede, said the governor was saddened by the plight of the local government pensioners. He blamed the drop in Federation Account allocations for the non-payment of the pensions, adding that the state government was considering strategies to assist them within its available resources. Kasum also called on the President Muhammadu Buhari-led Federal Government to intervene and assist the local governments to pay the arrears in order to curtail the spate of untimely deaths in the state. Meanwhile, the Benue State House of Assembly says it has received over 220 petitions bordering on non-payment of salaries as a result of the mismanagement of bailout. It also said the N86m released to the leadership of the assembly for the purchase of computers for the biometric exercise in the state were never utilised, while insisting it was not part of the functions of the House to carry out biometric exercises. The Chairman, Standing Committee on Public Petitions, Bills Review and Appraisal, Kester Ikyenge, while marking one year in office, during a constituency briefing at Anyiin, Logo Local Government Area, on Saturday, stressed that the assembly had no business embarking on an exercise for which it was not trained to carry out, adding that not a single computer had been purchased. Ikyenge told his constituents that his office, which he claimed was in a dilapidated state, was daily inundated with pensioners and local government staff over salaries and pension matters. According to him, over 220 petitions had been submitted to the House.